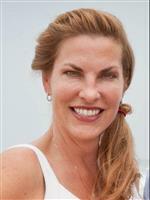 Susan Brown has almost 30 years of satisfied clients she has worked with to buy and sell their homes. Make sure to view Who Has Hired Susan Brown. Born into a family of real estate construction and sales, it was obvious that Susan Brown would become a real estate agent. At the age of 18, she was the youngest person to receive an Indiana real estate license which started her 30 year career as a REALTOR®. Her first 6 years in real estate were with Better Homes & Gardens. She then moved to RE/MAX Select, where she continued to advance her career until 2001. That same year, she sold her clientele and moved to the South Padre Island area. After taking a few years off, she went to work for the developer of the South Padre Island Golf Community. She quickly realized this area was growing, so in 2006 she received her Texas Real Estate license and became a full-time agent. 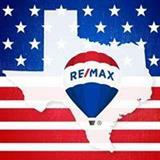 Today, Susan proudly works at RE/MAX Elite, and is one of the top agents in the South Padre Island area. Having lived on the Island, Port Isabel and at the South Padre Island Golf Community in Laguna Vista, she can confidently say, "I specialize in these areas." She has received numerous awards such as RE/MAX Texas Top 500, RE/MAX Hall of Fame, RE/MAX Texas Top 100 and RE/MAX Platinum. She also holds the following designations: GRI (Graduate, REALTOR® Institute), SFR (Short Sale and Foreclosure Resource Certification) and Accredited Buyer’s Representative (ABR). Through her continued education each year, she strives to stay on top of any legal or technology changes in the real estate industry so she can better serve her clients. Susan's goal is to always improve her service to her clients, and has an unwavering commitment to being the very best at what she does and doing it right.